This artwork by Carol Benson Cobb allows the viewer to create their own story. 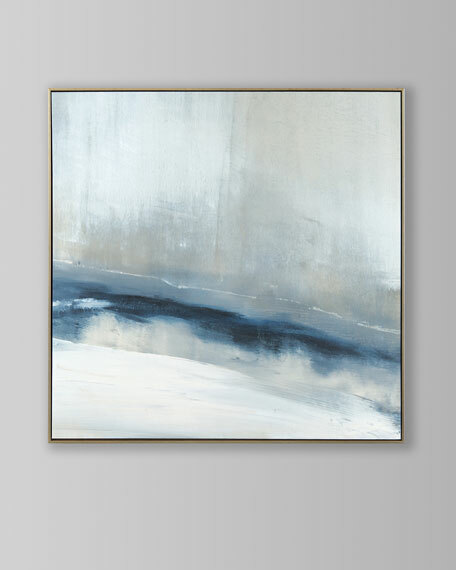 This study in blues and whites can be the surf hitting the crystal white beaches, the snow trails from a down hill skier or a hiker following a narrow path by a rapid river. This abstract is framed in the Madison wood.